How are we already at ONE MONTH OLD!!!!! Yup Baby Lewis turned 1 Month Old on the 7th February. This last month has gone so quickly. Every day I can see a change in Baby Lewis... already he's being more vocal and kinda chattering away to himself in baby language... it's so cute. I've also noticed that he's really starting to fill out now and is putting on weight well. ..... as you will see from the Vlog Baby Lewis ended up having an over night stay in hospital with me... He was vomiting throughout the day so we ended up going to A&E. They kept him in the hospital as he had low blood sugar. However after some anti sickness medicine and some good feeds he started to keep his food down ok and his blood sugars went up again so the following day we were aloud to go home. However after talking to the Doctor it would seem that they think he has an intolerance to milk protein. Therefore I've had to eliminate dairy from my diet because I am breast feeding. This is pretty tough believe me... however after having a trip to the Bio Organic Store here in Dubai and stocking on milk alternatives such as Coconut Milk, Soya Milk and Oat Milk I have to say my first week of being dairy free hasn't been that bad! 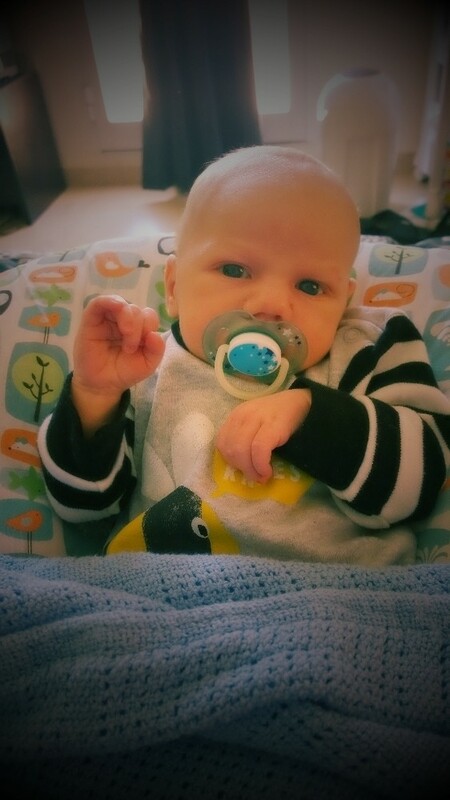 I can't believe baby Lewis a month old already! That went by so fast. Best of luck breastfeeding!